READY TO JET OFF TO ITALY? WE HAVE YOUR 5 STEP SOLUTION FOR PACKING SMARTLY ON YOUR TRIP. 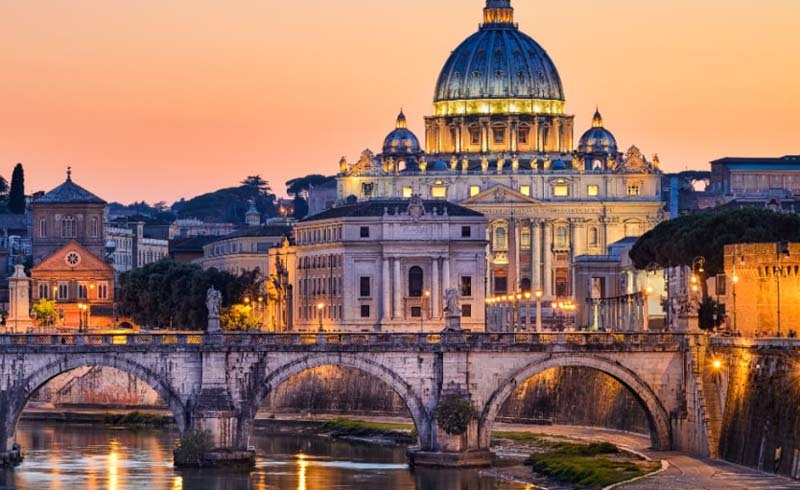 There’s nothing quite like an Italian vacation, complete with romance, history, and culture beyond belief. With so much to do and explore, the last thing you want while you’re there is to be hindered by a poorly packed bag. Though your final packing list will be somewhat dependent on the time of year (spring and summer in Italy is quite warm, but the winters do get chilly), region (Milan is notoriously fashion-forward, whereas visitors to Rome or Venice tend to be more concerned with dressing for full days of walking around), this 5 Step Solution will help ensure you have just what you need to make the most of your Italian getaway. 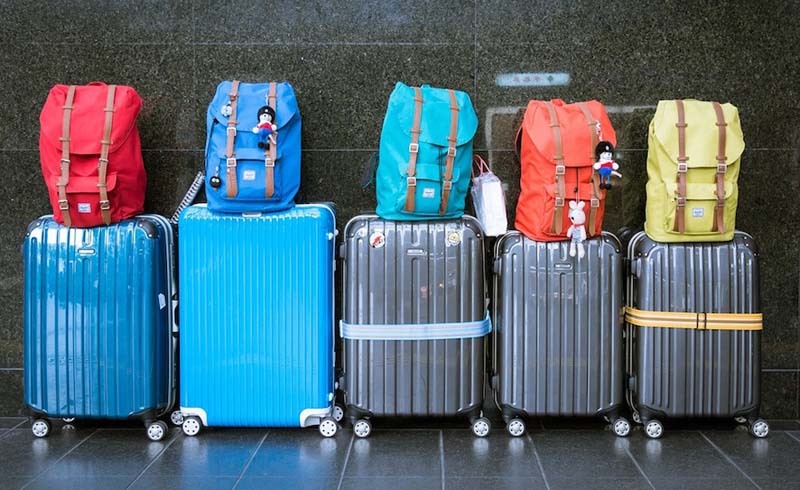 Not only is an overstuffed bag expensive to transport and a pain to carry, but it also leaves you no room for new Italian purchases — which is why it’s important to pack deliberately. Bring one or two pairs of pants (something lightweight and breathable is perfect for the warmer temperatures), and a few short- or long-sleeved shirts depending on the season (if the weather looks fickle, stick to short-sleeve shirts and a sweater or jacket for layering). Keep in mind, if you plan to visit any of Italy’s famous churches, you’ll need to cover your shoulders, so don’t limit yourself to tank tops, even in the summer. Try to limit your pairs of underwear, but don’t go too light. You can easily hand-wash them in your bathroom sink. Even if you have some extra space in your suitcase, consider bringing a packable duffel bag as well — Italy’s outdoor markets are fantastic, and it’s likely you will come home with more loot than you expect! Italians are stylish, and travelers who opt solely for comfort may find themselves feeling sloppy. This doesn’t mean you have to go out and spend your life savings on designer garb; rather, make your travel wardrobe count by mixing and matching fashionable basics. For ladies, a high-quality, solid tee or tank can go a long way when paired with a trendy statement necklace or earrings. Don’t want to pack big jewelry? Choose a few printed pieces — like a wrap dress or silk blouse — that shine on their own. As for men, most Italians don’t wear shorts, but if you want to, stick to something simple (leave the denim and cargo pockets at home). Pack a tie or scarf that coordinates with several items in your suitcase; it’ll take up minimal space, and can quickly dress up an outfit. The Italian sunshine is bright and omnipresent, even in the winter, so be sure to bring sunglasses, including a spare pair in case of loss or breakage. And don’t skimp on the sunscreen, either — there’s nothing quite like sunburn to put the kibosh on your good time. If you’re not checking a bag, or think you’ll need more than the carry-on allowable 3 ounces, plan to buy some when you arrive. In the meantime, both men and women can rock fashionable sunhats to keep rays off your face. As for beachwear, most Italian women stick to bikinis versus one-pieces, and men wear Speedo-style briefs instead of trunks — but it’s most important to bring something you’re comfortable in. Sometimes the most important things in your suitcases aren’t clothes. Chances are you’ll do a lot of walking in Italy, so bring bandages and/or moleskin to deal with potential blisters, and an umbrella in case of unexpected rain. (Otherwise, expect to pay a high markup to get an umbrella from a street vendor.) Toiletries are expensive in Italy, so think ahead and bring your own in a small bag that will keep them organized, and protect your other things in case of spills. For days on the go, pack a backpack and a money belt, which fits subtly under your clothes. When it comes to footwear on an Italian vacation, prioritize comfort, as you’ll likely do a lot of walking, especially if your itinerary takes you through Rome or Venice. Pack a pair of well-worn-in walking shoes you know will go the distance. But, if possible, opt for something stylish and colorful (think: ballet flats, comfortable sandals, or flat boots) versus full-on sneakers, which will stand out on Italy’s trendy streets. And because shoes are space hogs, stick to one daytime pair plus something dressier for nighttime — just avoid stiletto heels, as they can get caught in the cobblestones and cause you to take a tumble.